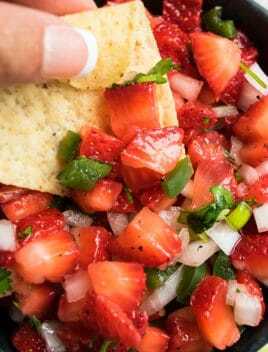 The best quick and easy strawberry salsa recipe, homemade with simple ingredients in one pot or bowl. A fresh, sweet, tangy appetizer, inspired by Mexican flavors. 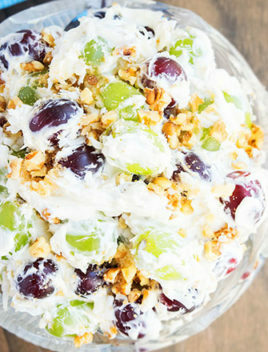 This is great to serve at Summer picnics as well as dinner parties or even game day parties. It’s a fun and colorful twist on the classic salsa. I love it just as much as this Cranberry Relish (One Bowl). Furthermore, if you have more strawberries lying around, you can even make this Strawberry Spinach Salad with Poppy Seed Dressing (One Bowl). How to make strawberry salsa? Mix together strawberries, onions, jalapenos, cilantro, lemon juice, salt, pepper. Chill for about half an hour (optional). Serve and enjoy! 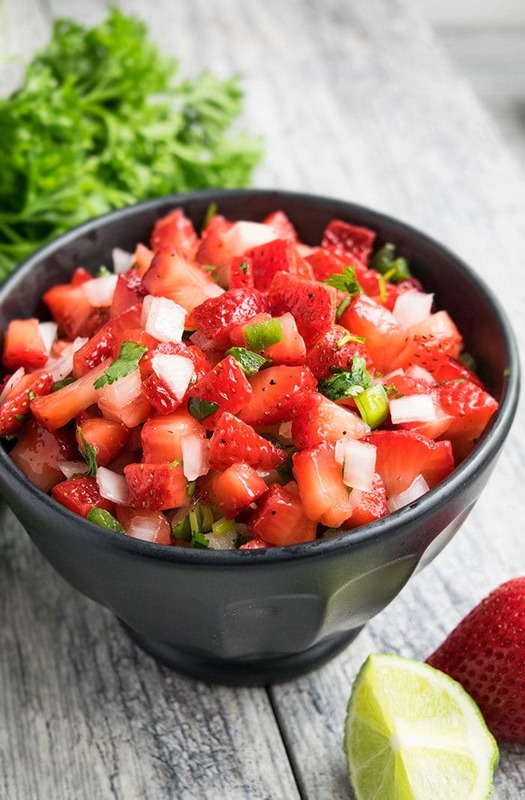 What to serve with strawberry salsa recipe? 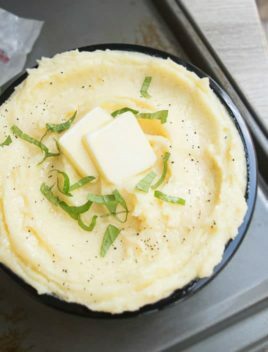 Serve it with some tortilla chips as an appetizer OR you can even serve it as a side dish with baked/ grilled chicken, steak, pork chops, fish such as salmon. You can even use it as a topping in tacos, burgers and sandwiches. It’s amazing with this Mexican Shredded Chicken (One Pot) and Steak Fajitas (One Pot). Use ripe strawberries– Because they are juicy and have more flavor. Adjust amount of spices– This is based on your preference. I only used salt and pepper but you can add some paprika and red chili flakes or some garlic and ginger powder. Get creative! 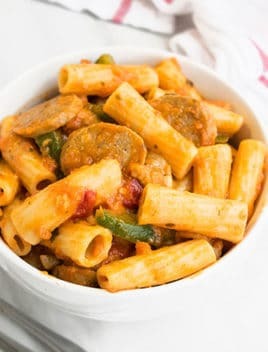 Make it spicy– I only use 1 deseeded jalapeno to give it a subtle spicy kick. You can use more to make it even more spicy or omit it altogether, if it’s too much. Lemon juice vs. Lime juice– Either can be used but both have a different flavor and that can alter the overall flavor. I really like to use a combination of both. 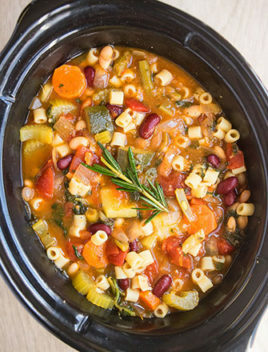 What can I use instead of cilantro? I think is the best herb to use in salsas and highly recommend it but if you are not fond of it, you can use chopped parsley. Chill for 20-30 minutes- This is not required but it allows all the flavors to marinate and deepen. 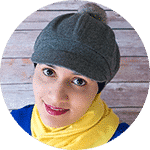 Honey is optional- Another substitute is maple syrup and that adds a subtle sweetness to counter the tartness of the strawberries and lemon juice. Add avocados- Mix in 1 avocado that’s finely chopped, making the salsa creamy. Add mangoes – Mix in 1 finely chopped mango to give it a tropical twist. Add pineapples– Mix in 1/2 cup finely chopped canned or fresh pineapples to enhance the fruity flavor. Add kiwis- Mix in 2 finely chopped kiwis. 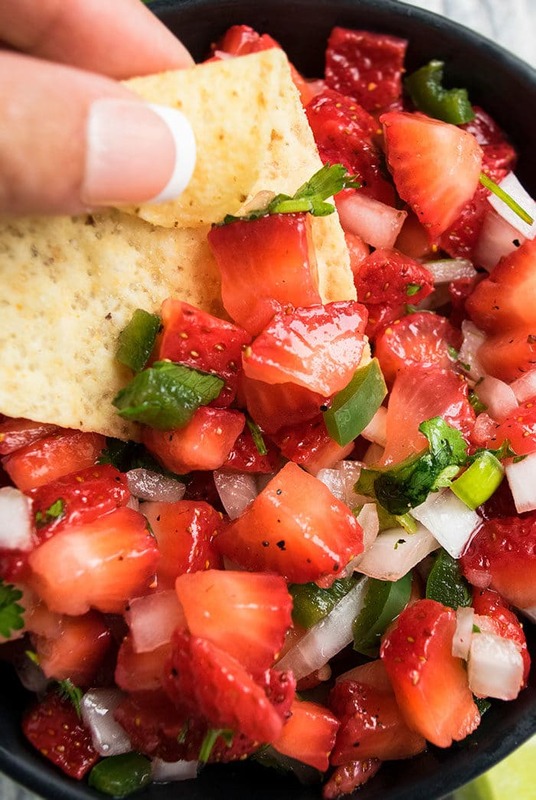 Quick and easy strawberry salsa recipe, homemade with simple ingredients in one pot or bowl. A fresh, sweet, tangy appetizer, inspired by Mexican flavors. 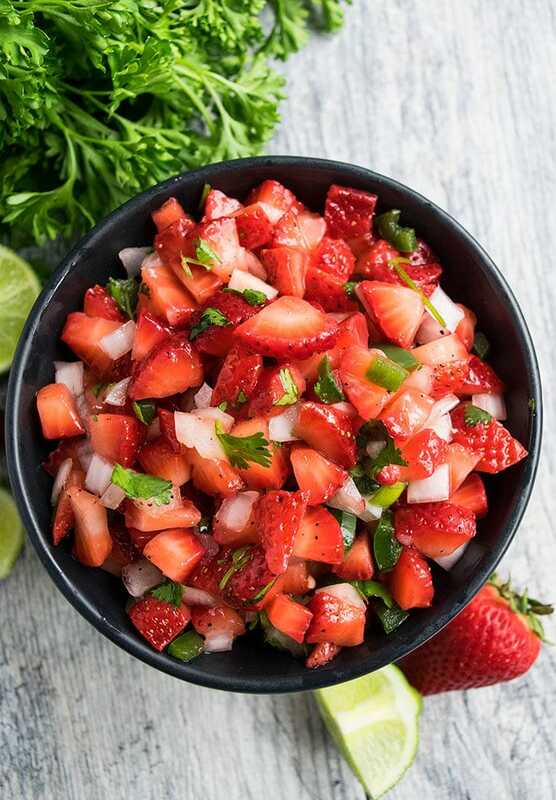 In a large mixing bowl or salad bowl, add strawberries, onions, jalapeno, cilantro, lemon juice, salt, pepper, honey (optional). Cover and let all the flavors marinate for 20-30 minutes in the fridge.